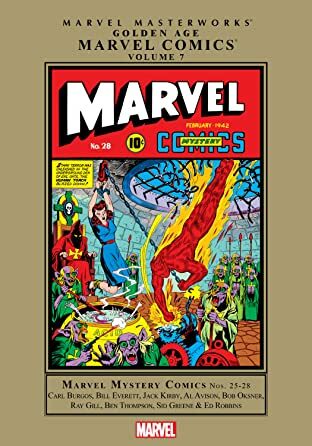 Collects Marvel Comics #1 and Marvel Mystery Comics #2-4. 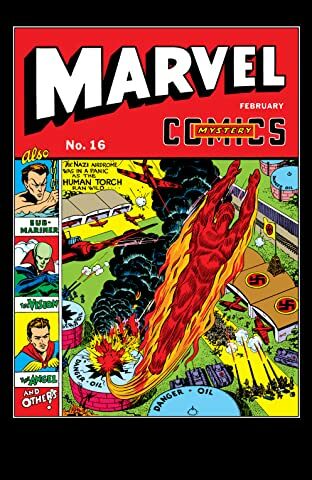 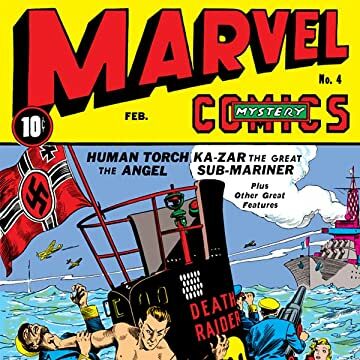 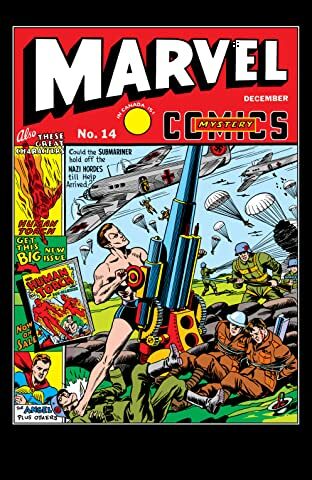 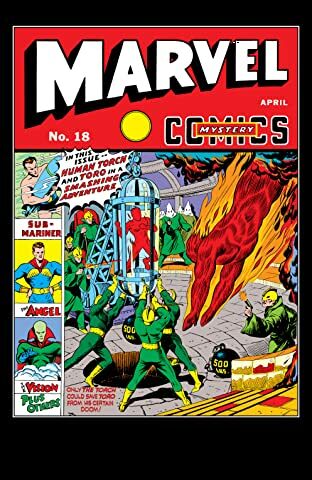 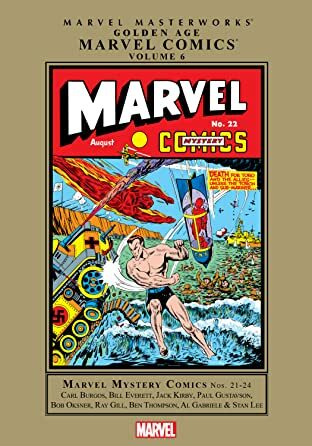 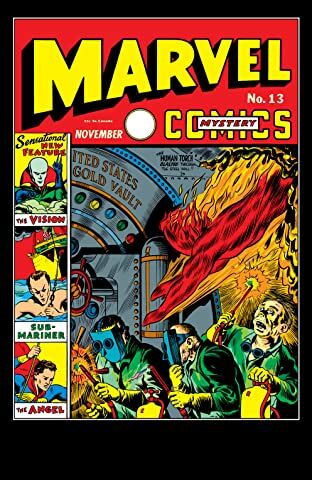 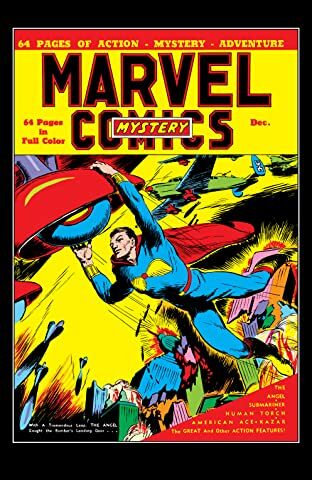 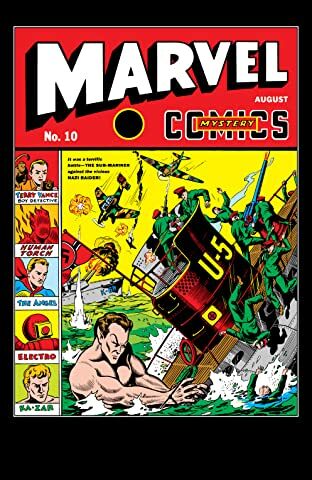 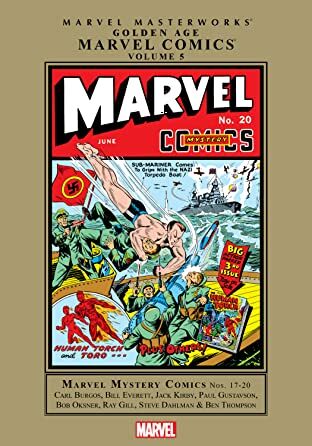 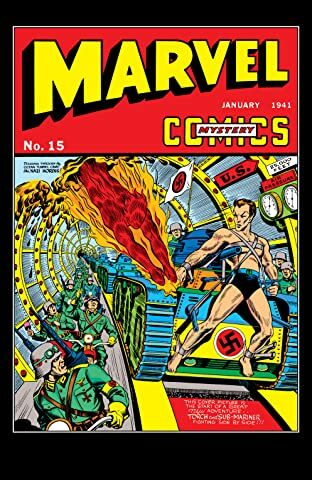 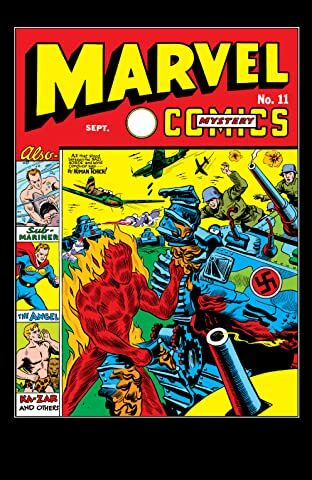 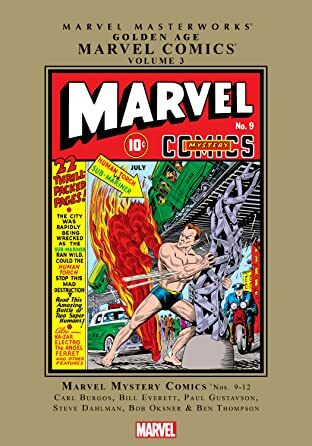 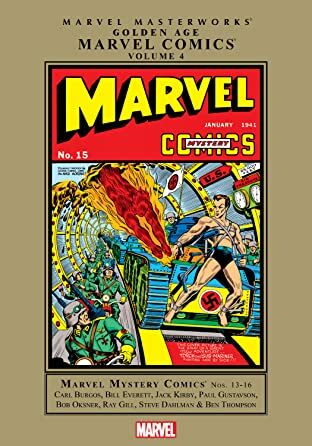 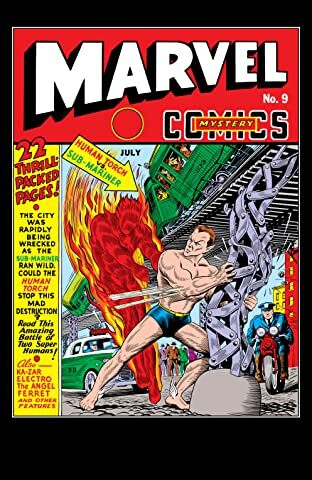 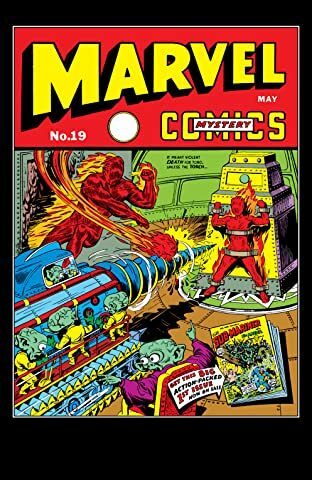 In September 1939, a new title hit newsstands and changed the comic-book world forever: MARVEL COMICS #1 had arrived! 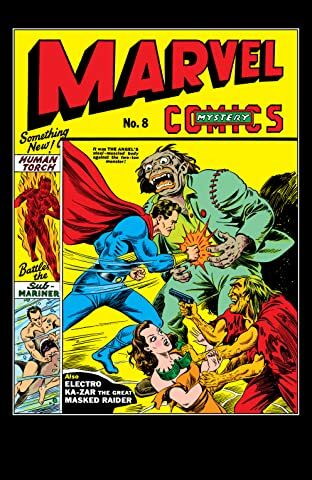 And this comic wasn't your typical assortment of super-powered, straight-laced do-gooders. 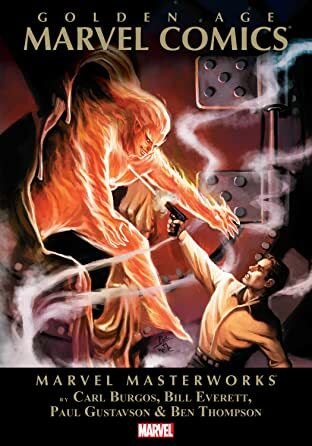 This was something completely new. 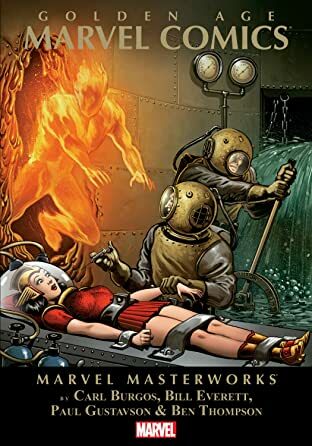 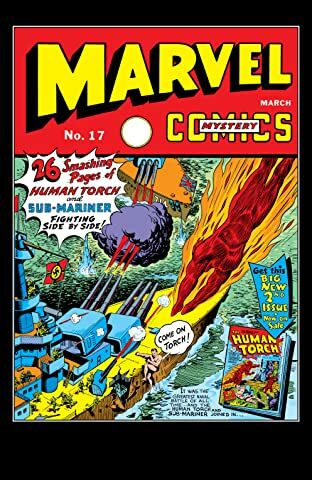 The Human Torch, the creation of Dr. Phineas Horton, was neither man nor hero. 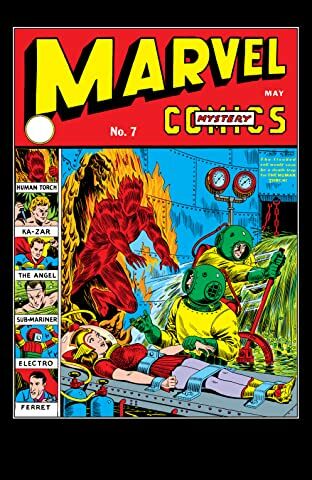 He was a fiery force of nature who shocked and unsettled mankind. 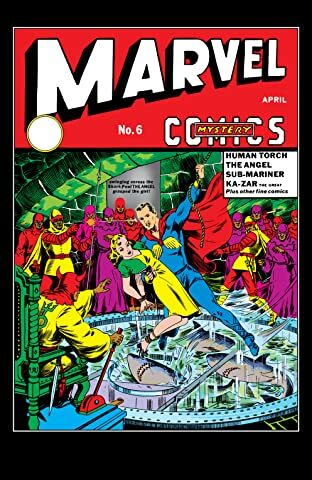 The half-human/half-Atlantean Sub-Mariner ventured from his undersea kingdom not with a mind set on peace, but bent toward vengeance! 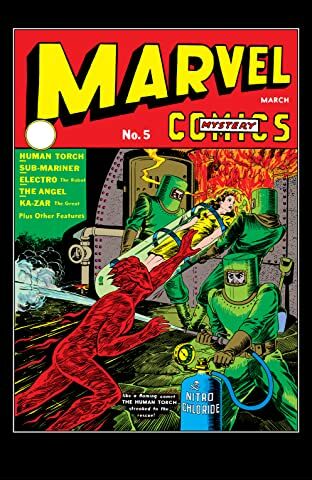 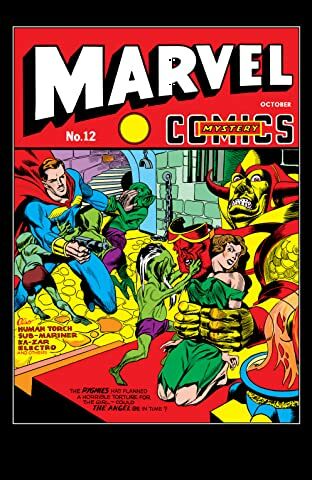 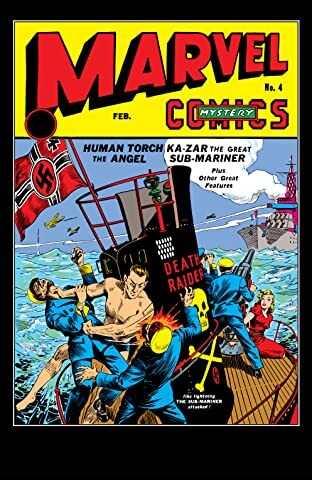 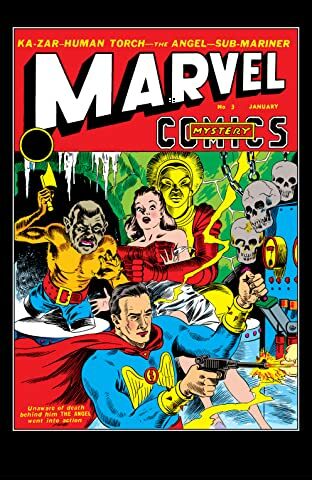 They're flanked by an eclectic set born out of the energy and imagination of the Golden Age - including the heroic Angel, robot invention Electro, hard-edged detective the Ferret, cowboy Masked Raider and jungle adventurer Ka-Zar.